Its been an interesting week to be a mainstream/super-hero comics fan. After several months of speculation, DC Comics finally announced what their summer crossover event, Flashpoint, is building up to; a new universe. 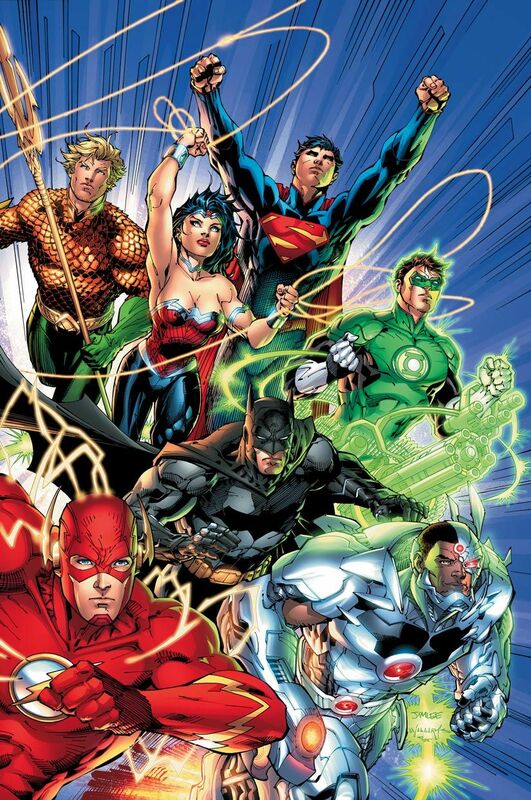 The brainchild of co-publishers Dan Didio and Jim Lee, and chief creative officer Geoff Johns, every single book currently published under the DC Universe banner will be cancelled in August (simultaneously with the end of Flashpoint) and relaunched with new issue #1s, new creative teams and a new status quo. At the same time, DC Comics is using this opportunity to go day-and-date-digital with all their books. In other words, people who prefer to read comics on notebooks or e-readers (or the iPad, which seems to be DC’s primary market) can now get them, legally, on the same day that their paper-reading brethren can. Both of these are major news for comic fans. 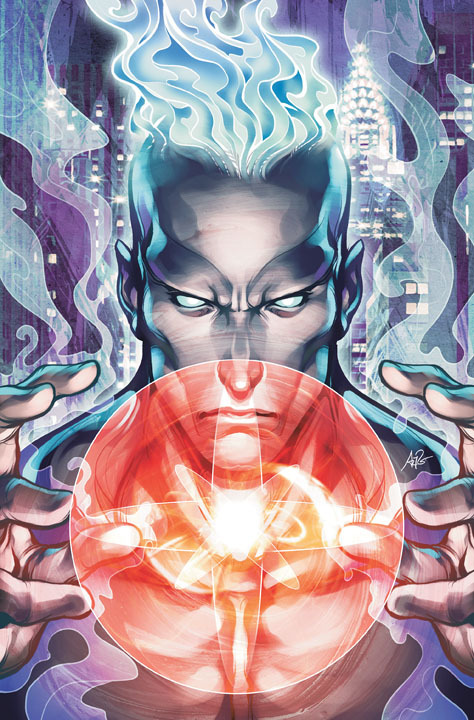 As a result of the relaunch–NOT a reboot, per DC comics senior VP of sales–the characters they’ve known for the past 20+ years will suddenly cease to exist or be radically retooled to be almost unrecognizable. Much of the information that has been revealed so far is based around the fringe characters of the DC Universe. 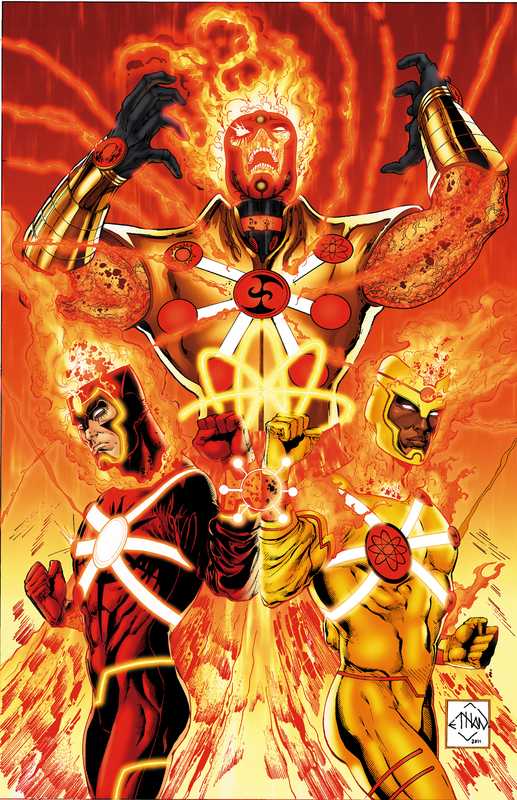 Firestorm has been de-aged to his late teens; Aquaman is Lord of the Seas again; Cyborg is a member of the Justice League. Of course, this has not prevented rumors about the major characters from leaking out. Barbara Gordon back as Batgirl; Superman de-aged to his late 20s and dating Wonder Woman; and of course, a wipe of several younger super-heroes because they are not iconic enough. But while the relaunch is important, it isn’t what I will be focusing on today (although I will be doing a rundown of all 52 new books once the solicitations are in next week). Instead, its DC’s decision to go fully digital and their pricing mechanism. DC Comics’ latest press release cites the prices for the new books as follows: $2.99 for each regular-sized monthly title; $3.99 for double-sized issues. This is a pretty standard price and I don’t believe anyone expected different for the paper books. But the digital pricing was a surprise–and not a pleasant one. If you want to buy a book as soon as its released, you have to pay the exact same price for a product you cannot hold or even store on your personal device. That’s right, unlike songs or movies, which you purchase and save onto your PC or iPod or whatever, comics are online-online. If you don’t have access to the Internet and you want to read a book you have “bought”, tough luck, because you can’t. This is so mind-blowingly stupid, I don’t know how I’m going to convey it properly in one blog post, but here goes. DC’s stated intent with this relaunch is to attract new readers. Ditto for the digital launch, because they claim that people who can’t go into comic stores would rather just purchase the books online. And they’re right. We have no comic stores in Pakistan and I was initially very pleased by this. After all, I like to support comic creators and would love to pay for the books I like to the publishers and not used book stores. But I refuse to pay $2.99 for a book that I can’t hold or even call my own. We all know how iffy the Internet and power connections are in Pakistan. Half the time, I wouldn’t even be able to read the books I buy this way. $1.99 is more reasonable, but I would rather not wait a whole month before I buy the books. If anything, this move is making me reconsider my stance on pirated comics. What’s the harm in downloading comics that I fully intend to purchase in trade? (I’m being facetious here…I know that books with low monthly sales are doomed to cancellation regardless of trade sales). While, I don’t expect it to, there is a chance that this could succeed. Who knows, maybe I’m wrong and people would love to pay $2.99 or $1.99 after a month to buy comics that take them 5, maybe 10, minutes to read. If so, this could pave the way for a massive change in how comics are sold and marketed. DC isn’t the only one hurting for new readers. Its a problem across the board. If there’s even a hint of success, you can bet Marvel will be jumping on it as fast as humanly possible. Ditto for the second tier – Image, Dark Horse and IDW – with likely more to follow. And most importantly, it could be the final death knell for the paper comics/brick-and-mortar comic stores. Understandably, retailers are cautious about this. They don’t expect this to succeed, but are not happy about what this could mean for potential lost sales. Brian Hibbs of Comix Experience probably put it best when he said that unless something like 5% of current comic readers make the switch, the digital sales will have negligible impact on comic stores. I will look at exactly how many times this kind of stuff has been tried before (especially by DC) sometime in the next week, but trust me, its a lot. And it has failed every single time. Personally, I’m hoping this will fail on the price point; not the initiative. DC needs to realize that comics (while a medium that I adore) is not something that can be expected to succeed at a price point that can buy you games with hours of gameplay (Angry Birds is only $0.99, remember?) 3 songs or even a Hulu subscription. There’s more to this than I’ve covered, of course. But I’m hoping this will serve as a primer for people who are intrigued by the coverage this move has been receiving from NYTimes, USA Today and the AP. Let’s hope that, come September, I’m eating crow and not being forced to say “I told you so” – for the sake of comics everywhere. I gonna send u a COMIC SHIRT!